Are you considering performing upgrades to your home? From improving the look and feel of your home, to enhancing functionality, increasing the resale value, or to improve energy efficiency, DXL Construction will work with you to achieve your goals. Our Fairfield County remodeling contractors are experienced in all aspects of home remodeling, from finished basements, complete second story house additions, bathroom upgrades to kitchen extensions, sunrooms to garages. If it can be visualized, we can build it. A professionally constructed home addition will allow you to maximize your property’s space, so you can keep up with your family’s growing needs. Not only are you adding additional square footage or improving the functionality of your home, but you are also making an investment. 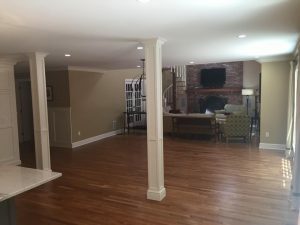 Our Connecticut home additions experts will design an addition that will naturally flow with the current contours of your home. We are experienced in design and build services, and we welcome the chance to work with you on your room designs and floor plans. Contact us today for a free quote and consultation on your next home addition project.